Ben Affleck will be donning the Batsuit and replacing Christian Bale as the hero of Gotham City in the highly anticipated sequel to Man of Steel. .
Warner Bros. made the announcement on Thursday, and the new movie - which is still untitled - is scheduled to be released on July 17, 2015. Last month at Comic-Con, Warner Bros. announced that the movie would bring Batman and Superman together for the first time on the big screen, with Henry Cavill, again in the role of Superman. The 41-year old Affleck becomes the eighth actor to play the Caped Crusader, following Bale, George Clooney , Michael Keaton and Val Kilmer. 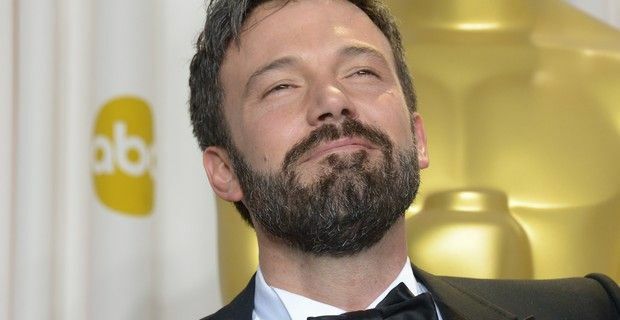 “We knew we needed an extraordinary actor to take on one of DC Comics’ most enduringly popular Super Heroes, and Ben Affleck certainly fits that bill, and then some,” WB president Greg Silverman said in a statement. The new movie will be directed by “Man of Steel” filmmaker Zack Snyder, and will also see the return of Amy Adams (Lois Lane), Diane Lane (Martha Kent) and Laurence Fishburne (Perry White). This will be Affleck’s second role as a comic book hero after starring in the 2003 movie Daredevil, which was based on the Marvel Comics character of the same name. Affleck recently directed and starred in Argo. The movie won the 2012 Academy Award for best picture and another two awardsfor best adapted screenplay and best achievement in editing. Affleck will be directing Live By Night, which will also be produced by Warner.